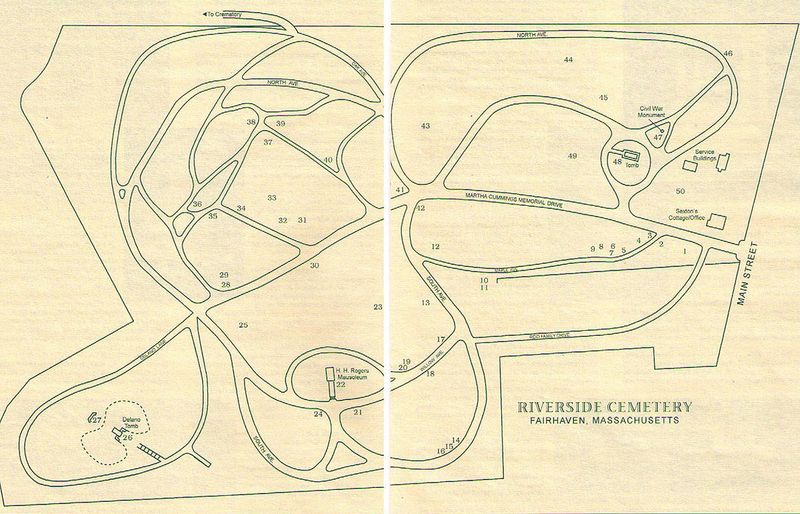 Below is a map of famous monuments that can be found at Riverside Cemetery. The Button below can link to the website Find A Grave. Hold Tomb, This tomb was used for temporary storage for delayed burials because of frozen ground.